UPDATED: Fri., July 13, 2018, 9:59 p.m.
It’s appearing less likely that the owner of Shogun restaurant will be able to follow through on his vow to rebuild after the business was destroyed by fire in April. The city of Spokane filed a lawsuit against Shogun on Tuesday. Officials accuse the restaurant’s owner of operating a storage facility next door that has been used as a drug den, drawing criminals and prostitutes and causing turmoil to the city’s resources since 2011. The suit names Jong (Joseph) Lee and Shogun, Inc. City officials are requesting Shogun Plaza Self Storage at 905 E. Third Ave. to be shut down, vacated and seized by the courts and for Lee to pay almost $250,000 in damages. Matt Folsom, assistant city attorney, said Lee is working with the city to sell the property, and if they can find new owners, the city won’t be seeking any financial damages. 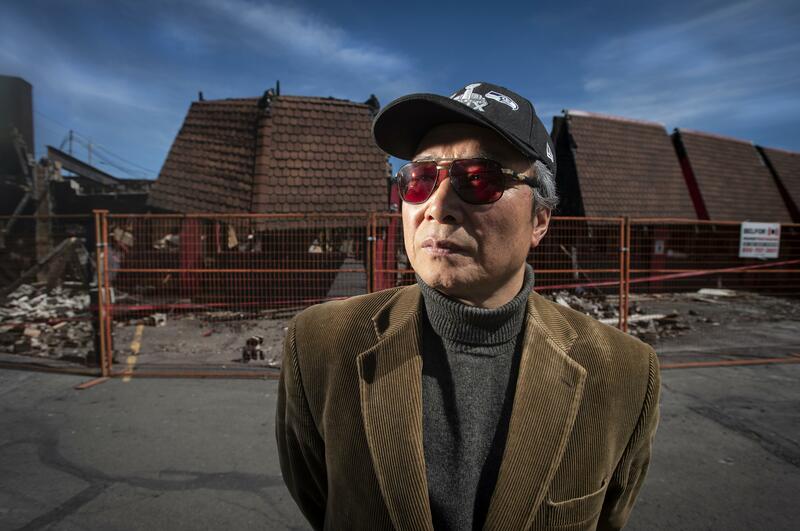 The Shogun Restaurant burned down in April, and water used to extinguish the fire pooled in the storage facility and damaged people’s belongings. Soon after it was destroyed, Lee said in an interview that he would rebuild. Police boarded up the storage facility on Friday after they determined no one was living in there. Ervin said that some legitimate storage renters still have their belongings in the building and they can’t access it, but there is a phone number posted on the door that will lead them to get it back. Lee still owes $4,773.84 in taxes on the storage property that he bought in 2009, according to property records. The phone numbers for Shogun Restaurant and Shogun Plaza Self Storage are disconnected, and Lee’s office was closed on Friday. Lee could not be reached by The Spokesman-Review. The problems with the Shogun Plaza Self Storage began in 2011 when the Spokane Fire Department issued an order to vacate because people were living there, according to court documents. The same issue popped up in 2015 and the fire department posted a “Do Not Occupy” order. In 2017, police arrested a man for possession of meth, and they got a search warrant and found four stolen bikes. Police criminally cited Lee for “creating a substantial risk of death or serious injury to another person,” according to court documents. The Ramada hotel next door to the storage facility was under constant threat of break-ins to customers’ cars because of the people around Shogun, hotel manager Kyle McCandless said. The problems continued into this year. In May, Spokane police issued five citations to Lee because people were sleeping and smoking inside the building, tampering with smoke alarms and propping fire doors open. Police also received a call for prostitution last month. “You come by at 1 in the morning and there are people wandering in and out of the storage units,” Ervin said. McCandless said that after the fire in April, police have been more present around the facility. “Since then, we’ve had almost zero problems,” he said. The lawsuit is also against The Sam and Anne Thoen Foundation, a leinholder that previously owned the building. Published: July 13, 2018, 7 p.m. Updated: July 13, 2018, 9:59 p.m.